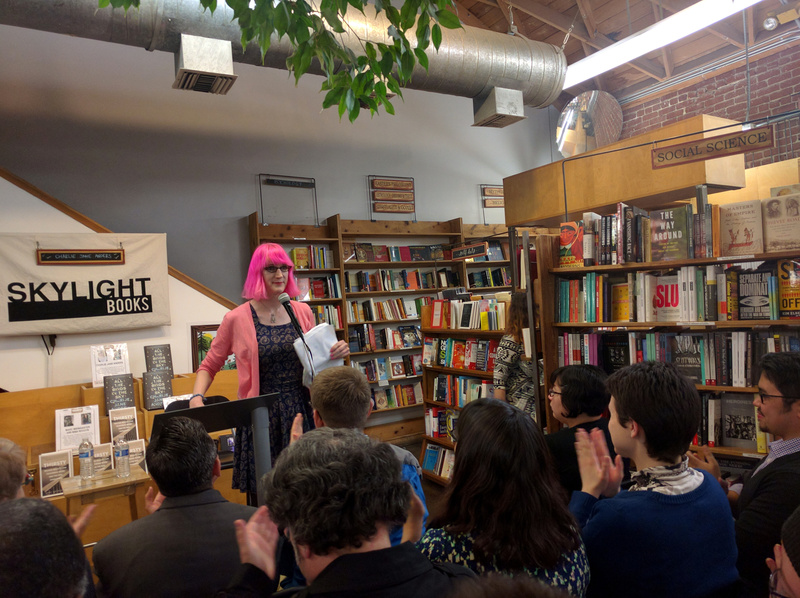 When the history of science fiction culture in the 21st century is written, the name Charlie Jane Anders will loom large. In 2008, along with her partner Annalee Newitz, Anders co-founded and edited the influential sci-fi media publication io9 for Gawker, and in doing so, redefined geeky commentary forever. From hilariously acerbic observations about Transformers, to empowering advice columns for hopeful sci-fi writers, Anders is both the best friend and wise master any sci-fi and fantasy fan could hope to meet. But her commentary on the geeky genres was only the beginning. After starting to publish her own short science fiction, she left io9 and released her first science fiction/fantasy novel in 2016, titled All the Birds in the Sky. It’s the story of a witch and a techie set in a speculative San Francisco and blurs the lines between YA and sci-fi. The LA Times called the book “An instant classic” while the Wall Street Journal evoked both Kurt Vonnegut and Harry Potter in its praise. 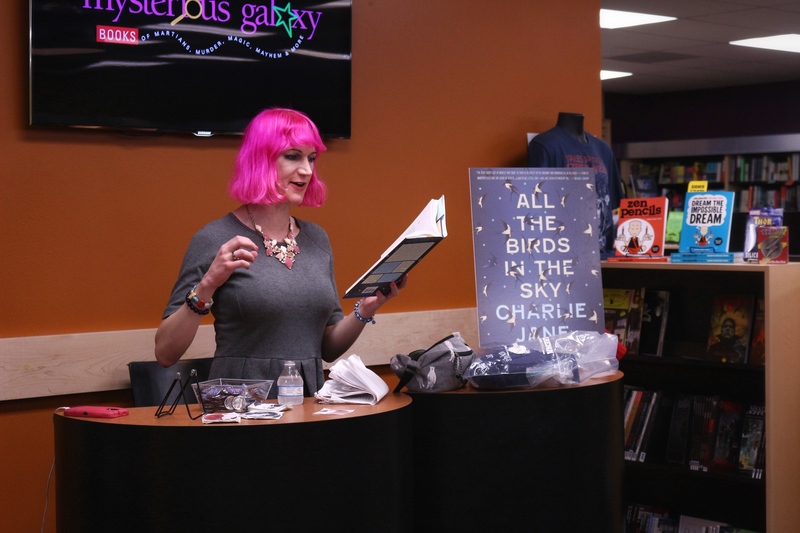 I caught up with Charlie Jane Anders just before the paperback release of All the Birds in the Sky on April 11, 2017. Here’s what the science fiction impresario had to say about leaving the blogging world, writing multiple characters perspectives, and why she’s hopeful for the future. It is a year after the release of your debut sci-fi novel. How do you feel? I feel just really grateful and just blown away by people being willing to run with this book. I was nervous about it for a few years before it came out, because it’s this book that asks some stuff of the reader; you kind of have to go with it, and it keeps asking you to accept other things. Like talking birds on page four? Yeah, and there’s a lot of crazy, fantastical stuff. It also just keeps changing things up. I know when I’m reading a book, I like it when there are surprises, but I also like feeling like I’m kind of following a thread. Is this connected to the shifting points of view from different characters? Yeah, I spent hours worrying that. There was a part of the book where Laurence and Patricia are at the mall; they’re sitting under the escalator looking at people’s feet, and they are just making up weird stories about the people, and then they make up a story about this one person and it turns out to be true, and then we jump POVs into that other person. But, there are a million articles on the internet saying that you can never do things like that. So I’m super, super glad that people were willing to trust me not to drop them halfway across the river. I thought I was gonna lose the reader, and I was really sweating over that. Do you think science fiction and fantasy are more forgiving about narrative shifts? If you read enough science fiction and fantasy, you’ve seen everything. You can’t really underestimate science fiction and fantasy readers’ willingness to expect weird experiments. I was reading a thing about N. K. Jemison’s new series, The Fifth Season and The Obelisk Gate, and the fact that she gets away with the second person. But when she’s doing it, you don’t notice after a page or two. I feel like the tight POV thing — like in Game of Thrones — is something that’s really prevalent in genre right now, so people are still really open to experiments. Was it hard leaving io9 and becoming a novelist full-time? It was super scary. I mean, leaving io9 still feels like a huge leap. Not having a salary, not having a regular paycheck and benefits, it still feels like a terrifying thing. I took a long time to get used to not having a million tabs open on my browser, you know? I was just always checking a million different things all the time. But then, after I left, things happened and I didn’t express an opinion about them on the internet, and it was like, “What’s going on?” and I could’ve tweeted, but I feel like tweeting my opinions is not always as satisfying as writing a long rambling. So, it was less satisfying emotionally, I guess. Yeah. I guess I had a lot of phantom limb pain. I missed the community. I still miss the community. But, it’s been almost a year now since I quit io9, and over time I’ve started to feel more happy and at peace about it, because it does feel more mellow to not have to be on every day and worrying about whether I’m gonna say the wrong thing and the Internet’s gonna explode. All the Birds in the Sky ends up being a witch versus a tech guy from Silicon Valley. What kind of statement is that making about San Francisco? The collision of bohemian art, artists, and that community with the tech and nerd communities — and collision is the right word because sometimes they don’t always mesh perfectly — especially right now with the debate over displacement. Some people feel like my book ends up being a plea for techies and bohemian artist types to get a long and to talk to each other more, which if that happened I would be super thrilled. 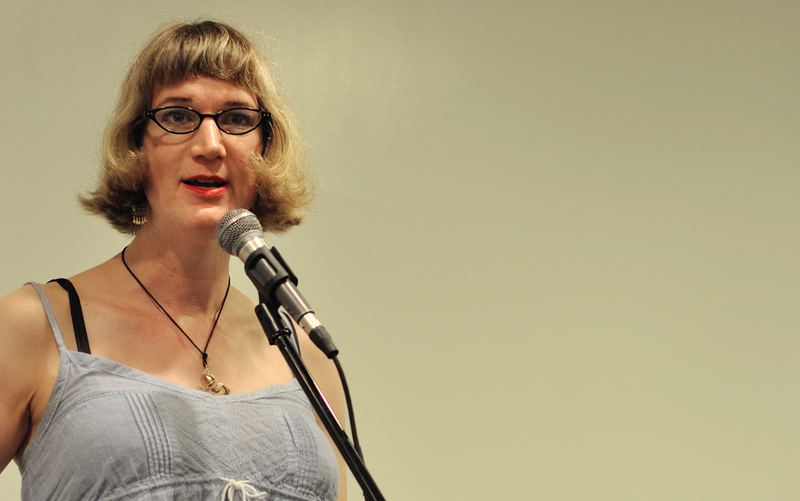 What is the future of science fiction from the Charlie Jane Anders perspective? I mean, obviously my view of science fiction in the 21st century is inevitably colored by the, like I said, incredibly generous response that All the Birds in the Sky got, which I had been so nervous about. I feel like I have a lot of faith in science fiction and fantasy readers. My faith has been massively renewed just for purely selfish reasons. But I’m optmistic about humans. We’re adaptable, we’re smart, we’re survivors, we’ll screw up over and over again, but we also have a great track record of pulling our own fat out of the fire. You know, another thing that I’ve said a million times; science fiction is the literature of problem-solving. I feel like the most basic idea of science fiction is there are problems and we solve them through science, and I love that. I think that that is amazing, and I think that we need to believe that we have the ability to solve our own problems. All the Birds in the Sky is out now in paperback from Tor Books.